Pre-heat the oven to 180 degrees Celsius and line a baking sheet with baking paper. Wash the kale, remove it from the stems and tear the leaves in a bite-size pieces. 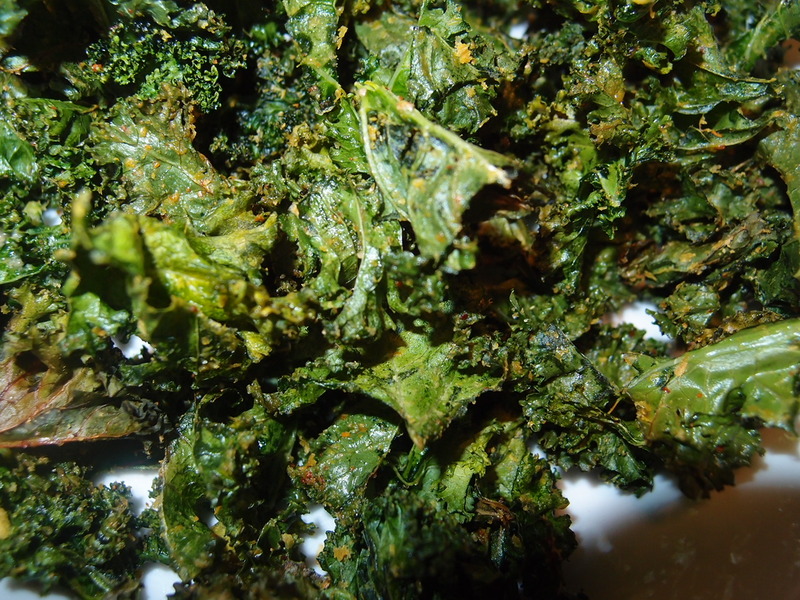 Toss the torn kale leaves with the oil, nutritional yeast, salt and garlic (if using) until coated. Spread the coated kale out on a baking sheet in a single layer. Bake it in the pre-heated oven for 8-12 minutes stirring 1-2 times until the kale turns crispy and its edges brown slightly.